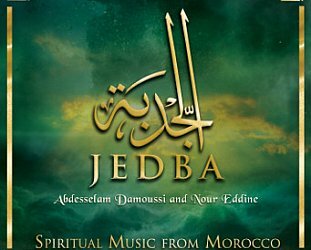 Of the dozen tracks on this useful collection, at least three bands -- Staff Benda Bilili, Bedouin Jerry Can Band and Konono No 1 -- should be reasonably familiar to Elsewhere readers. So attention alights elsewhere: On the seven-piece Mbira Dzenharira which plays tuned mbira (and sound like an African gamelan); the ngoni playng of Bassekou Kouyate (bluesy, yearning); the strange sound of Seprewa Kasa (using seprewa, a chordophone, the sound and use of which anticipated upbeat highlife); the weird implosion of traditional and contemporary instruments on the flat tack Dunia Watu by Jagwa Music . . . 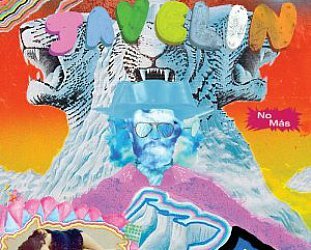 This is all quite head-turning and some of these tracks might just as well have slotted into any collection of African psychedelic music. 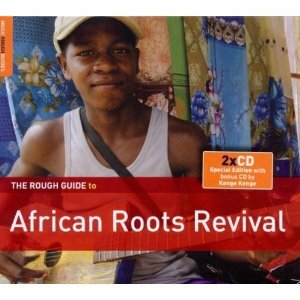 As with many of these Rough Guide collections, this comes with a bonus disc, an album by the Kenyan group Kenge Kenge who mix up handmade traditional instruments with electric guitars and horns for a somewhat surreal sound which seems designed to keep you guessing as much as dancing along. Good stuff, even if you have a clue . . .
Like the sound of this? Then check out this and this.